Eliminate Enemies and All Opposition From Your Life! Imagine how wonderful your life would be if you had no enemies – no one opposing you – no one making trouble for you – no one hating you – causing you problems – or making you upset or angry! 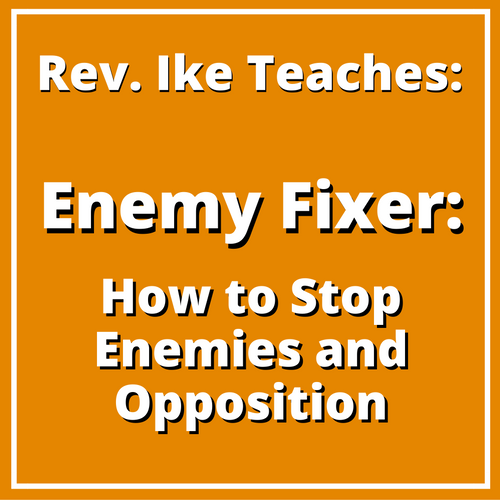 In this eye-opening audio teaching, Enemy Fixer, available for download on MP3, Rev. 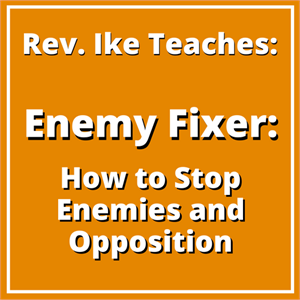 Ike reveals the secret of getting rid of your enemies and opposition, once and for all! YOU create your enemies in your own mind and no one can be your enemy WITHOUT YOUR PERMISSION! Rev. Ike explains the metaphysical interpretation of Jesus' words, "A man's enemies are in his own house,” to mean: Your enemies are in your OWN MIND (your 'house') – created by your own adversarial, oppositional thinking and feeling! You'll learn the technique that will 'Kill" your enemy and create a friend! Opposition and Enemies Begin and End in Your Mind! Once you understand and accept that "every man, every mind creates his own enemies or friends, helpers or opponents, by his thinking and feeling," your life will never be the same! As you listen, you will repeat powerful affirmations with Rev. 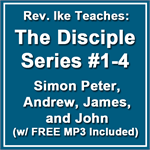 Ike that will drive these concepts and beliefs deep into your subconscious mind! You will understand that "No one can be your enemy or your friend without your permission." You will learn how to withdraw permission from your enemy – revoke the 'enemy license' you have granted them – and issue them a new license, new permission – to be your friend! Use Your Power of Permission to Stop People From Getting On Your Nerves! In this audio teaching, you'll discover how to use your 'Power of Permission' to save your spiritual mind and body a whole lot of hassle! And save your body from a whole lot of unhealthy stress! As you interact with Rev. Ike – you'll repeat powerful affirmations – that will reach down into your consciousness – and you'll no longer permit others to anger you, upset you, or 'get on your nerves,' once you absorb this lesson! You'll learn that you can look at an aggravating situation – and not let it move you to anger! You'll discover that it is your own power that you give away when you ALLOW someone to be your enemy or aggravate you! And you will no longer give away your power to others, to use against you! Powerful Affirmations that Will Change Your Thinking and Feeling! After you get through with this lesson – after you repeat the empowering affirmations with Rev. 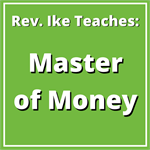 Ike – you will have a changed consciousness! You will have learned how to make friends instead of enemies!